Read Dr Pejman Iravani's oration on Noel Fitzpatrick for the honorary degree of Doctor of Science in July 2018. Chancellor, I have great pleasure in proposing Prof. Noel Fitzpatrick for the honorary degree of Doctor of Science. Professor Fitzpatrick is managing director, clinical chair and chief surgeon at Fitzpatrick Referrals, the largest wholly-owned independent veterinary referral centre in the UK. He is also well known for The Supervet television show, in which Channel 4 follows him and his team as they provide life-changing care for animals in need of their help. He started his career obtaining a Bachelor of Veterinary Medicine from University College Dublin in 1990; he followed this with scholarships at the Universities of Ghent and Pennsylvania. He attained boarded specialist status by examination in both the USA and the UK, with the degrees of ACVSMR, American College of Veterinary Sports Medicine and Rehabilitation, and DSAS (Orth), Diploma in Small Animal Surgery (Orthopaedics). Noel has created three world-renowned referral veterinary facilities under the Fitzpatrick Referrals banner. In 2005, Orthopaedics, Neurosurgery & Rehabilitation, in 2015 Oncology & Soft Tissue Surgery and, in 2018, The Fitzpatrick Institute for the Restoration of Skeletal Tissue with a specific focus on regenerative medicine. His centres have redefined the standard of care for companion animals and inspire both veterinary and human medical advance globally. Fitzpatrick Referrals currently employs more than 250 veterinary professionals. Professor Fitzpatrick has an impressive research track record, he has published more than seventy research papers in diverse areas including surgical techniques, orthopaedic and spinal implants and the elucidation of disease epidemiology. Through his work with his companies FitzBionics and FitzRegen, he is also pioneering the development of new implants and regenerative techniques to alleviate suffering and pain for patients who cannot otherwise be treated and inspiring a new generation of human implants and therapeutics. A number of the technologies he has pioneered have featured not just in respected veterinary journals but also in broadcast media across the globe. His commitment to education and learning is clear. Professor Fitzpatrick has delivered more than one thousand lectures around the world and has been awarded the Bloomberg, Simon and Blaine Awards for teaching and contribution to veterinary surgery. He has also sponsored many fellowships, internships and PhDs globally, including one at our own University. Professor Fitzpatrick has been instrumental in the promotion of the concept of One Medicine within the UK. This is the principle that many diseases are shared between humans and animals and therefore there are significant benefits from the cross-pollination of learning between human medicine and veterinary practice. With the aim of promoting One Medicine, P Professor rof. Fitzpatrick has established the Humanimal Trust, a charity that facilitates the collaboration between vets, doctors, bioengineers, researchers and scientists for the benefit of all living beings. As well as his impact as a researcher, vet and educator, Professor Fitzpatrick is a truly inspirational figure, as evidenced by his forthcoming arena tour, which has never before been attempted by a medical professional. His strong belief in his mission to translate the love between an animal and a human into a global currency, the importance of health and welfare for all species, and the impact that this has on society in general is contagious. I have witnessed how he has taken a group of our young engineering students into his operating theatre to observe surgical procedures on animals illustrating the challenges, the scope and potential for improvement. This has stimulated and motivated these young minds to produce superb designs and solutions to problems they have resonated with and embraced. He ignites potential in all around him. We all know the pain and suffering disease can cause to our friends, our family and our pets; and we all recognise the importance of an advanced health-care system. It seems to me that this can only be achieved if the medical sciences are connected to our human empathy, sensitivity and warmth toward others, of all species. Professor Fitzpatrick, is in my view, a clear example of this connection. Professor Fitzpatrick’s achievements as a leader in veterinary medical practice should serve as an inspiration to all young people embarking on their careers and perhaps especially to our graduates. 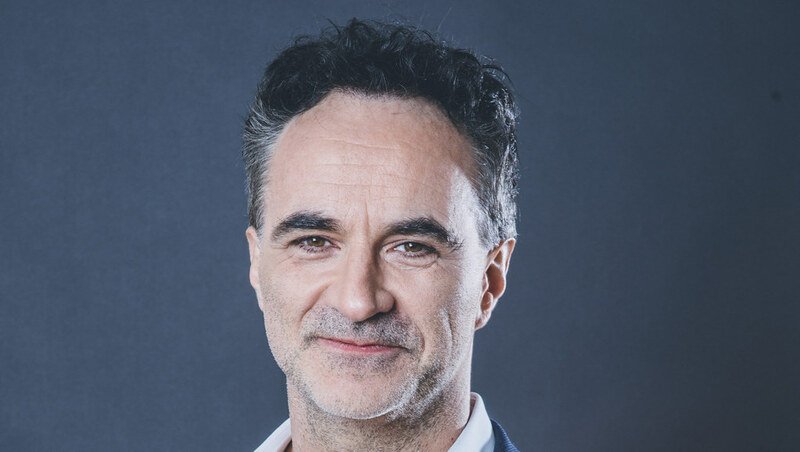 Chancellor, I present to you Professor Noel Fitzpatrick who is eminently worthy to receive the degree of Doctor of Science, honoris causa.